Another year, another agile conference. 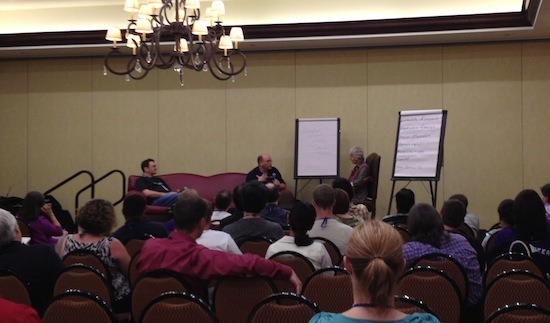 It’s time for reflecting on the conference and uncovering lessons learned. 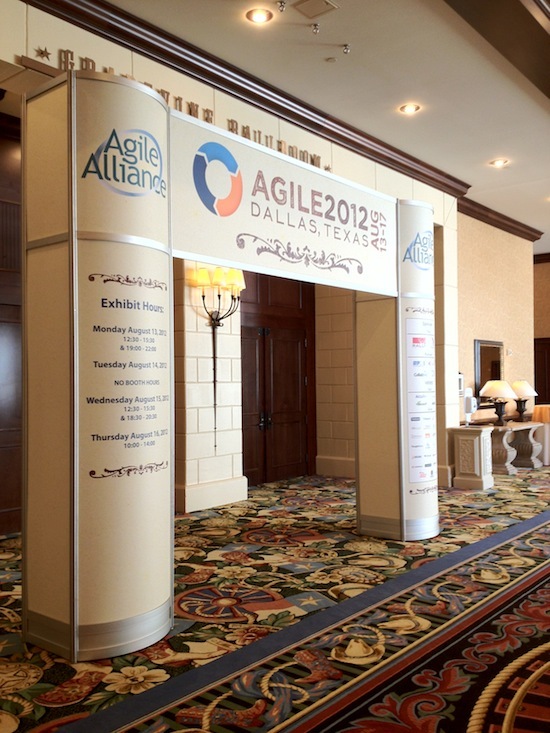 Dallas, Texas hosted this year’s Agile Conference. 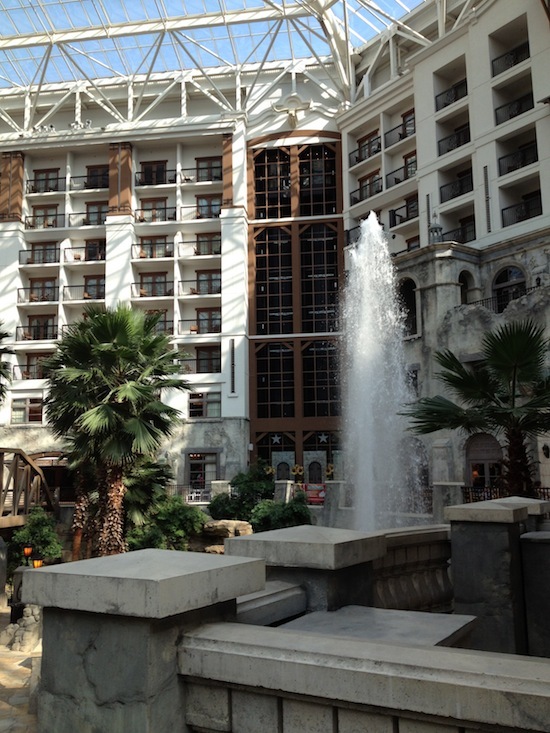 More accurately, the Gaylord Texan Resort in Grapevine hosted this year’s Agile Conference. Loved by many at the conference (notably less so by Europeans) the resort reminds me of the Eden Project and a weird biosphere (see picture below) that is self-contained and fully air-conditioned. Although maybe this wasn’t such a bad thing with a West Nile virus outbreak in Dallas. Needless to say that I stepped out quite a bit to try to get some fresh, if not, refreshingly humid air. Onto the conference. It was very well organised, very well run and even rapidly responded to feedback (such as moving rooms when demand proved too much for some of the anticipated sessions. Food came out very promptly in the different breaks. We didn’t have to queue too long and the variety was pretty good. The only breakdown was probably the Tuesday lunchtime where it wasn’t clear we had to get our own food and with a limited number of on-site restaurants in our self-enclosed bubble world, proved to be a bit of a tight squeeze in schedule. The people at the conference seemed to be a bit of a mix. Mainly lots of consultants like myself sharing their experiences, but as one person noted, an extraordinary number of agile coaches all apparently looking for work. On the other extreme there seemed to be lots of companies adopting agile and lots of people selling tools and training to help them. Lots of parallel tracks meant lots of choice for many people but I often found it hard to find things that worked for me. I’m less interested in “enterprise agile adoption”, and more interested in the practices pushing the boundaries, or the deep insight offered by people. The few technical sessions I went seemed to be aimed at a bit more of an introductory audience. I particularly avoided any of the “do this with scrum” or “do this with kanban” as these appeared by be pushing. In terms of keynotes, I thought they did a great job of assembling some diverse and interesting sessions. Although Bob Sutton (No A**hole Rule author) felt like he didn’t do much preparation for his keynote from the text heavy slides that jumped at different paces, he had some good anecdotes and stories to share. My biggest takeaway from that session was thinking about taking away practices just as much as adding practices, something that I think I do implicitly but should try to do more explicitly. The other keynotes were pretty inspiring as well, with Dr. Sunita Maheshwari behind Telerad talking about her accidental experiment moving into doing remote radiology to support the night-shift need of hospitals in the US and the interesting growth of their business. The other really inspirational keynote was by Joe Justice, the guy behind the amazing Wikispeed project taking sets of agile practices and principles back into the car-making industry. I felt he really knew his stuff, and it’s amazing how you can tell someone who really understands the values and trying to live them in different ways and then translating them into a different world. Very cool stuff that you should check out. Two of my most favourite sessions was one by Linda Rising who gave a very heart-felt and personal Q&A session that left many people in tears. Her stories are always very personal, and I really admire her ability to look beyond someone’s words and really uncover the true question they are asking with a usually insightful answer as well! The other session was listening to the great work that Luke Hohmann of Innovation Games has been doing with the San Jose government to change the way they make decisions about where the money goes through the use of games and play. Very awesome stuff. I had my session in the last possible slot on the Thursday and had a large number of well known people in competing slots such as Jeff Sutherland, Esther Derby and Diana Larsen. I’m very happy with the turn out as we had a lot of fun playing games from the Systems Thinking Playbook including a number of insightful conversations about systems thinking concepts and how they apply to our working life. One of my most favourite exercises (Harvest) that demonstrates the Tragedy of the Commons archectype played its course and we finished in just three years (iterations) only due to a constraint I added early into the game. I love this exercise for its potential for variation and the insightful conversations about how this applies to agile teams, organisations and functions. Perceptual Control Theory – Another resource on mental models, influence and decision making. A book for Tech Leads, from Tech Leads. Discover how more than 35 Tech Leads find the delicate balance between the technical and non-technical worlds. Discover the challenges a Tech Lead faces and how to overcome them. You may be surprised by the lessons they have to share.